This vampire wants blood.. lots of it! Resurrect him and feed him all the blood he needs! Guide the blood to his grave, and watch him awake! Trapped in a nightmare puzzle with no gravity and no clue you must walk on walls, jump through hoops and collect stars to find your way out, and yourself. 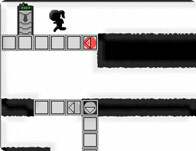 New levels and weapons in this sequel to the popular Storm the House game. Nanananana... You're Batman, and it's up to you to save Gotham from all the evil that lurks around! 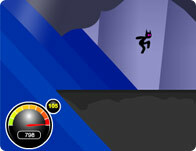 Run through levels and beat all the enemies up as you save Gotham once again! Avoid nasty traps, boomerang bloodthirsty bats and leap over lava pits, all with a single button! How many click will it take you to help Bob find the treasure? Prequel to Nevermore 1 - Solve your way around adventure game. Stay alive for as long as you can while avoiding sea life raining from the sky. You?ve just found yourself on a quiet space station?.a space station that?s a little too quiet. Figure out what secrets it holds before you head back to your ship in this retro action game. Help Johnny Tag escape from the island. Because this stick doofus doesn't know that jumping off a cliff results in death. So throw down some planks and help him get home. 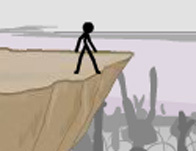 A stickman fighting side scrolling game. Dodge the ball and try to stay alive for as long as you possibly can! Click on enemies heads to shoot, it is easy! Anchor Ball is a sidescrolling kick-ups game, in which your objective is to keep the ball in the air as long as possible while collecting coins for extra points. You are Roy, the last hope for color in a dark world! You are jellydad! You have been taken from your family and kidnapped by humans for scientific purposes! Find your family and escape in a series of bizarre levels. Mr. Bernstein blames you for losing the money. So now he wants you to bring up 1 million dollars by day 100 or he'll pay your family an unwanted visit. Hamstix is ready for adventure! Save your bat-friends and go on an adventure through the world! Beat the evil jellies and collect stars! Prepare for the war as you build units against the computer. This is going to get insane! 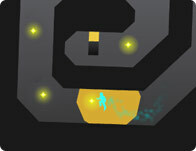 Collect 10 coins in each level while avoiding deadly spikes! Draw your own levels and see how it will turn out in the ultimate free rider adventure! The Mayor has been killed by a hidden sniper. Storm through hundreds of enemies to find him and bring him to justice - stick justice! 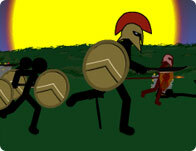 A really niffy stick adventure game, kill sticks to unlock new levels. 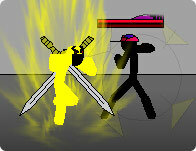 Shoot this poor stick ninja as far as you can, now with top scores! Race your boat through the ocean! Race it as fast as you can and complete missions as you do so! NOTE: This game is not playable in the Chrome browser. Nothing beats a wicked 3d stick shooter! I saw her across the ocean.. A story about two zombies madly in love, going on adventures and discovering just how much they love each other. Ready for some bloody stick madness? No, no, I don't think you're ready for the kind of non-stop, action-packed Guts & Gore games you'll find at StickGames.com! If you think you can handle the raw, unrestrained, best collection of the Stickman games on the web, then you've come to the right place. 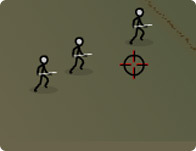 We make it quick and easy to give you some quick and easy Stick Man kills, whether you want guns-blazing gory violence in our Action Games and Defense Games, or want to plan your brutal marches of stick man war parties in our Strategy Games! We can provide the gritty stickicide you want to play! 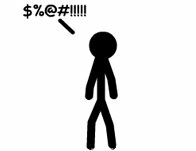 There are plenty of imitators out there across the Internet who claim to have the latest and greatest Stick Figure games, but we've got the name, we can back up our promise for graphic stick violence on every page, and we update our collection every week! 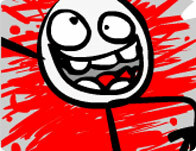 Scroll through our Popular Games list for some classic killer Stickman entertainment. But if you're not thrown into a stick killing frenzy, come back next week for some New Games to hooked for years! 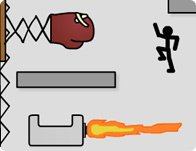 Love Stick Figure Games, but don't know why? We've got some great Miscellaneous Stick Games from sniper to adventure, puzzle platformer to fighting games because sometimes you feel sorry for the dead stick man's family and you just want to knock him around like a ragdoll. Check out our Shooting Games for some jaw-dropping sniper joy. Your jaw willing drop in awestruck shock when you see the smoking crater where their face used to be. 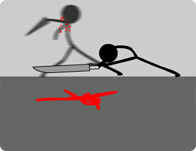 And your stick men enemies' jaws will drop to the floor because they won't be attached to their heads!